Prime Minister Justin Trudeau gives a thumbs up during a news conference in Ottawa on Nov. 3, 2016. In a way, this was inevitable. The internet's infatuation with Canada's prime minister has reached a new peak — or low, depending on how you look at it — with the new "Justin Trudeau, My Boyfriend 2018 Wall Calendar." "I have a new boyfriend. No, you've never met him. He lives in Canada," reads the product's description. 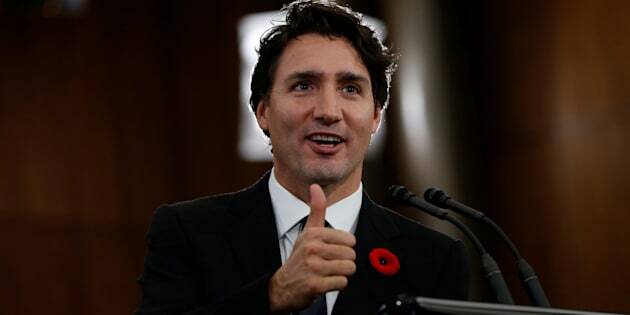 "The Justin Trudeau, My Canadian Boyfriend 2018 Wall Calendar is a year-long celebration of dynamic, smart, compassionate, and sometimes sassy Canadian Prime Minister Justin Trudeau." The calendar features 12 images "Yucon" [sic] enjoy of model-like role-model Canadian Prime Minister Justin Trudeau. Featuring sweetly off-kilter but well-meaning commentary about his views from his sparkling blue eyes on everything from love, family and of course global affairs and economic growth, it is a true celebration of the man, the myth, and the meme that is Justin Trudeau. "This is what happens when you let crazy fans run the printers!" it states. I NEED that @JustinTrudeau boyfriend calendar because ya know, he's my boyfriend. Is someone getting me that Justin Trudeau calendar for Christmas? Reviews for the calendar on the American Amazon listing were more positive than those on its Canadian counterpart. The calendar, of course, is not the only ridiculous Trudeau-themed product out there. 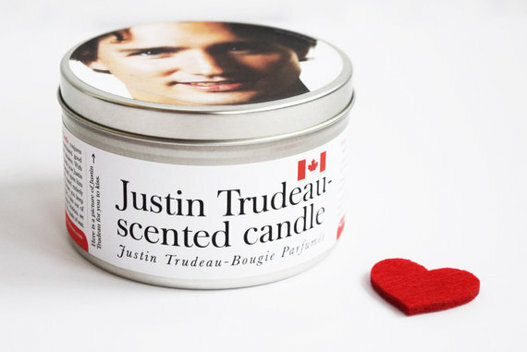 There's a Justin Trudeau figurine, Justin Trudeau-scented — don't ask — candles and Justin Trudeau leggings, to name a few. Oh, did we mention the erotica stories?